Tracy Coates, JD, MES, is a Mohawk and Welsh educator and consultant in the areas of Indigenous knowledges, pedagogy, research methods and law. She is a professor at the University of Ottawa, coordinator of the university’s Aboriginal studies program and a proud mother, wife, daughter, granddaughter, auntie and community member. In the 1490s, Indigenous nations in the Americas began discovering European colonists and settlers trespassing on their lands and territories. What Eurocentric history books have failed to mention is that these European settlers often found Indigenous Peoples living in strong and vibrant civilizations. Throughout South and North America, pre-contact Indigenous societies had complex economies, intricate leadership structures and well-developed knowledge systems. Then, like now, Indigenous knowledge systems were dynamic and adaptable; they considered how all things are related and they were as complex and well-developed as scientific knowledge, while being locally rooted. As with many Indigenous Peoples, the knowledge systems of First Nations were often guided by their relationships to each other and to the land and by their community, with a focus on preserving a physical, emotional, mental and spiritual balance. As in Western societies today, the knowledge taught and the teaching methods and practices (pedagogy) used by First Nations reflected and affirmed their worldviews, societal beliefs and social and economic structures. It was because these knowledge systems and pedagogies were so tied to Indigenous civilizations that settlers and their governments felt the need to erase them. This is also why they’re so important for renewing Indigenous societies and their ways of life. Fortunately, this may be changing, as the hard work of generations of Indigenous scholars, leaders, Elders and community members to preserve and revitalize Indigenous pedagogy (Indigegogy) has begun to take hold. Teaching and learning about Indigenous knowledges and Indigegogy are important tools for decolonizing and Indigenizing education. In part, the space created for Indigegogy has resulted from ongoing calls for change to the Canadian education system and a shift towards inclusive learning. Such movements open the door for understanding and respecting elements of Indigenous knowledge and pedagogy that can fill existing gaps in the knowledge and practices of Eurocentric education. Indigenous knowledges and pedagogies are complex, but they are based on a number of simple concepts. They focus on experiential learning that is meant to be enjoyed, but also serves a deeper purpose. These concepts are meant to foster both individual and collective responsibilities, a key ingredient for people to live well with one another. In this system, learners begin to understand their relationship to the rest of the world. The knowledge they already carry is built upon, as they are helped to confront their own biases and prejudices. Learning is seen as a lifelong process, one that is directed by the learners themselves. The relationship of the teacher and learner is critical to both individual and collective outcomes. Indigenous knowledge and pedagogy are completely connected to the development of individual and collective well-being. Together, they foster individual responsibility and an understanding of one’s relationships to others and demonstrate how important respectful behaviours are for the maintenance and well-being of all our relations. Many countries, including Canada, are working towards reconciliation with internal Indigenous nations. Unfortunately, gestures by the federal government to support First Nations’ inherent right to control their education have been extremely limited in scope. 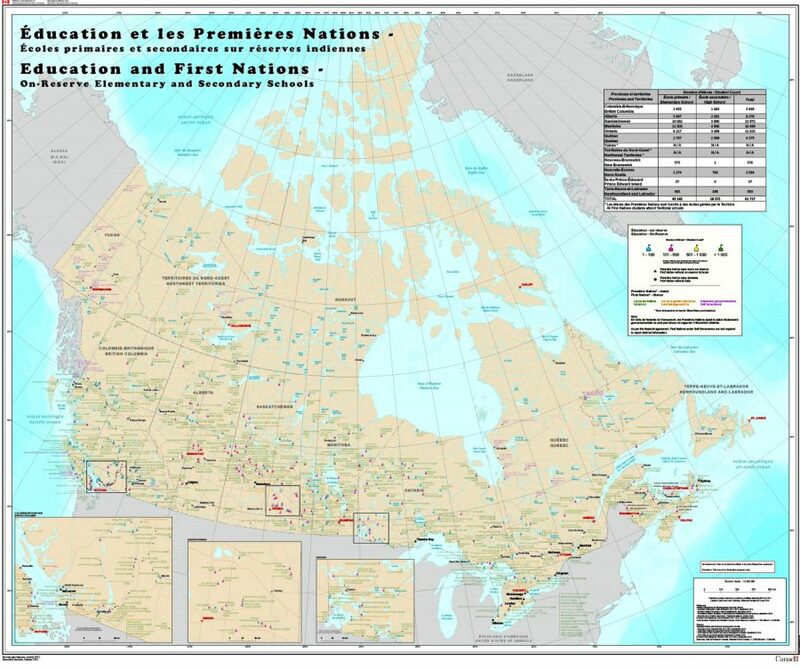 In practical terms, these gestures have amounted to offering First Nations’ governments administrative control over the implementation of Canadian curriculum and pedagogy. In effect, this means giving First Nations control to teach First Nations’ children colonial and Canadian ways of knowing, being and doing. Over time, my hope is that the dual processes of decolonizing and Indigenizing will help to overcome our shared history of empty gestures by settler-colonial governments. Decolonization, the process of identifying and destabilizing colonial structures, creates space for Indigenous ways of knowing, being and doing. Indigenization, in turn, is when Indigenous Peoples decide for themselves how the spaces created for our ways of knowing, being and doing are to be used. This might include, for example, how lands that were stolen and returned are to be used, or what First Nations want to teach their children and how Indigenous approaches to teaching and learning can be used to revitalize First Nations’ values and societies. The processes of decolonizing and Indigenizing are essential to reconciliation because they may eventually lead to the creation of space within the Canadian education system for Indigenous knowledges and pedagogy. This, in turn, may offer a radical challenge to the structures of the dominant society, including some of its most basic and fundamental beliefs (individualism, capitalism, consumerism, competition and hierarchy). At the same time, the exploration of traditional and historical Indigenous learning systems and tools, such as Indigegogy, can provide a stepping-stone to revitalizing Indigenous societies and truly achieving Indigenous control over Indigenous education.